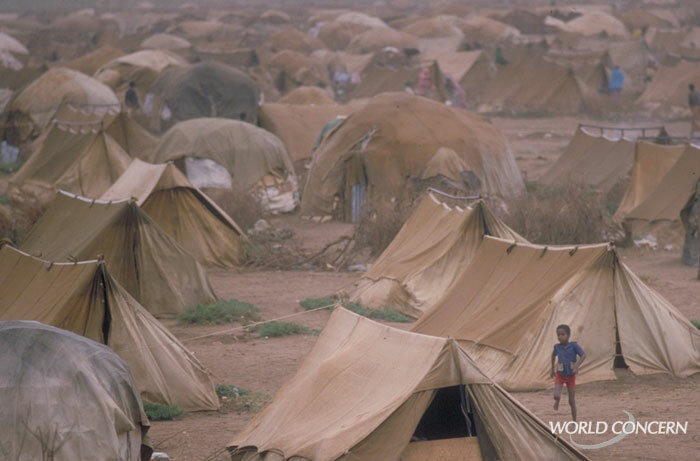 Refugees in Darfur leave everything to escape with their lives, only to be moved yet again. Humanitarian aid and relief groups are asking President-elect Obama to pay attention to the human rights disaster in Darfur, Sudan, as soon as he takes office. The idea is referred to as a “peace surge,” a way to reach an agreement to work out terms of peace by bringing the warring groups to the table together. Obama may have a better chance to work out a deal right now, because the president of Sudan has agreed to an immediate, unconditional cease-fire with Darfur rebels. Destruction after Cyclone Nagris, Myanmar. A blur has been added to this photo. Just imagine what’s left over from a major storm along the coast. Debris clogging a bay under a blue sky, floating and rolling with the waves and the tide. Branches, tarps, trash. Then imagine taking a closer look – and realizing that among the debris are bodies, bobbing and haphazardly mixed up in the mess. Bloated. Filthy. Sons, daughters, friends and wives. Dozens of humans, maybe even a hundred. I saw a photo today the scene I just described. I may never forget it. One of World Concern’s humanitarian relief workers in Southeast Asia took the photo several months ago. The location: Myanmar. You may remember a cyclone hit there a few months ago. It’s always difficult to grasp large numbers, but 138,000 people died in the storm, according to official figures. That’s the population of Syracuse, New York. World Concern was working in Myanmar when the storm hit. We were helping people build simple livelihoods in the incredibly poor country. We were showing people techniques to run fish farms and helping them secure clean water supplies and education for their children. These kinds of projects bring people just off of the brink – and hopefully lay the groundwork for healthier, sustainable lives. When the storm hit, that all changed. World Concern Myanmar quickly switched from development mode into full-time humanitarian aid and disaster relief. Because we were one of a select few relief agencies permitted to be in the country, working there since 1995, we were in an excellent position to help. Nearly all of the 200 staff members at World Concern Myanmar are from the country. Undoubtedly, they all suffered personal loss because of Cyclone Nargris. Still, they continued to help with the relief efforts. One of the most significant ways World Concern helped in Myanmar was to retrieve bodies. A tough responsibility. Not only did we want to respect the dead, it truly became a health hazard. I cannot imagine how emotionally traumatizing this work must have been for our staff. Since the cyclone, people in Myanmar are rebuilding their lives, as best they can. We are helping them in a variety of ways, including the renewal of clean water supplies, reconstruction of homes and by offering them resources to get back to work. 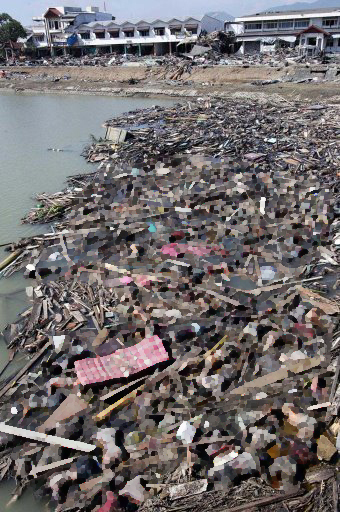 I cannot forget the photo of the debris-clogged bay. I am just stunned by the amount of destruction and human loss people there have faced. All of this reminds me that even with economic turmoil here in America, we cannot possibly look away from disasters like this in good conscience.